Can you stand the rain?" 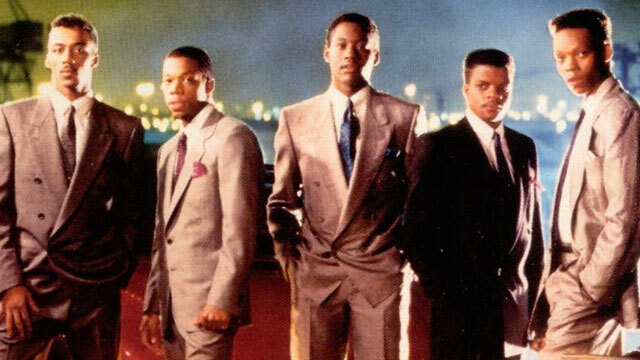 I'm going to be really honest and tell you that I don't remember New Edition's "Can You Stand The Rain" when it was first getting radio play in early 1989. I think that I was firmly committed to hair bands by then. The song is from the quintet's album Heart Break, their first venture without Bobby Brown. It introduced us to Johnny Gill who does a fantastic job sharing lead vocals with Ralph Tresvant on "Can You Stand The Rain". So anyway, I heard this song several months back during BET's three part special on the band (which really IS worth seeing) and couldn't tell which era of New Edition it was from. That makes it pretty timeless in my eyes and it also has all of the components of a top-notch slow jam. Check out the video below and tell me, who is your favorite of the guys!